The band Swing ‘n’ Samba, featuring Bob Jacobson on sax/clarinet and Mike Spittel on guitar, will perform Swing, Samba, and so Much More! In addition to swing and samba, they play blues, ballads, jazz waltzes, Latin, and even a bit of pop rock! Swing ‘n’ Samba has played in numerous venues around the Baltimore area (including Christmas Village and the Brookshire Hotel), at nonprofit events, and at private parties. 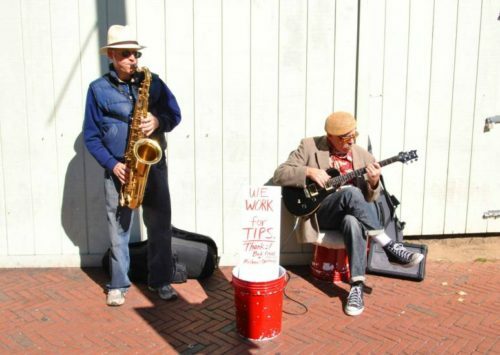 They are also licensed street performers and regularly appear at the Waverly Farmer’s Market.